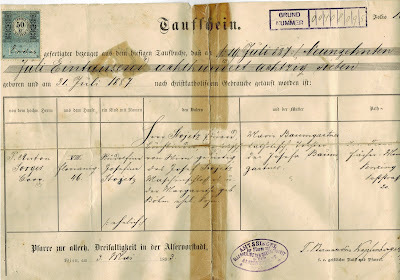 My non-existent family is sprouting in all corners .. the surnames Hecher and Szikossy have just surfaced ... and here is nana's birth certificate, which maddeningly has creases just where the C19th script gets awkward ... is Eduard Stojetz a Buchbinderin? I think so. And his father? 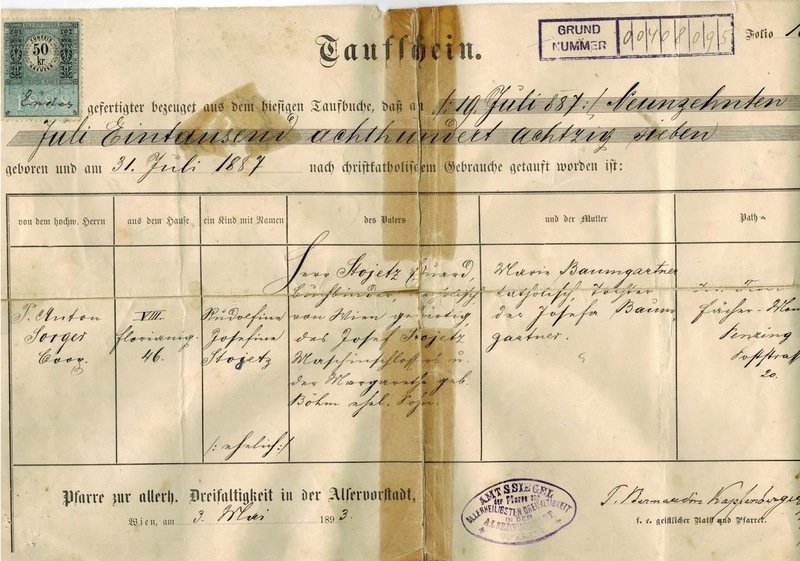 'I have him as a 'Werkführer des kk National Bank'. And what about mother. She wasn't Baumgarten, she was Baumgartner, and what does it say under the crease? Something's Tochter. And mother Josefa? Or is the Jozsef, father? Ah! I think the creased word is 'katholisch'! But ... why does Marie not have two parents, like Eduard?